Same place, great new store! Come along anc check out our new store. Now with an even bigger range of electric bikes and bicycles from top brands. You'll receive 1st class advice and expertise in everything from your first bike to your next service. Our customer parking is behind the shop. Look for the lane, opposite McColl's. After the pelican crossing take a sharp turn off Merthyr Rd, into the lane. 45 metres (50 yards) along, take the first right. we are located adjacent to the Post Office.  E-Bikes have ranges up to 185km and only take 4 hours to charge. We stock and service all major e-bike brands from Haibike, KTM, Bergamont, Moustache, Cube, Scott, Raleigh and many more. As about our Gold Service, which includes a full strip down and clean. Same day servicing now available with 1-hour slots. Just call and book! Formerly Chris Harris Cycles. Our expertise and experience is unrivalled in Cardiff and south Wales, from selling bikes for almost 60 years.